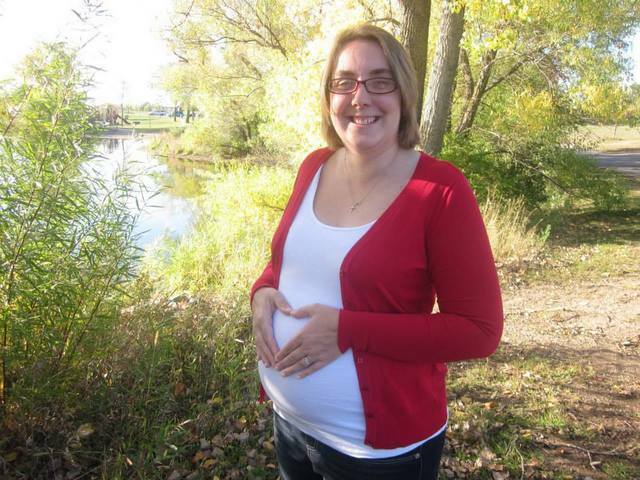 Maria will be contributing to CNY Fertility’s website 1-2 times a month. She is a ketogenic diet & lifestyle expert and shares Dr. Kiltz’ passion for living a happy and healthier lifestyle! Many clients come to me with fertility issues and want help getting pregnant. When women are eating a low fat diet, this causes their hormones to not produce enough progesterone. Estrogen, progesterone, cortisol, DHEA, and testosterone are made from cholesterol; if we don’t eat enough, our bodies take cholesterol from our endocrine system to use for brain function and repair. When that happens, it’s almost impossible for our bodies to maintain hormonal balance. When following a low-fat diet, what are women eating? Carbs! I was guilty of this and dealt with estrogen dominance at a young age. But I now have found balance with my hormones. But since both Craig and I have a passion for adoption and have seen the millions of children who need homes in the orphanages, we feel that we are destined to adopt. Carbohydrates are metabolized into sugars which cause weight gain and insulin resistance which in turn disturbs normal ovulation because it converts healthy estrogen into androgens (testosterone). This is a classic sign of PCOS that I see quite often. Starch, sugar and caffeine increase androgen production and women often complain about dark hairs on their face and inability to lose weight. 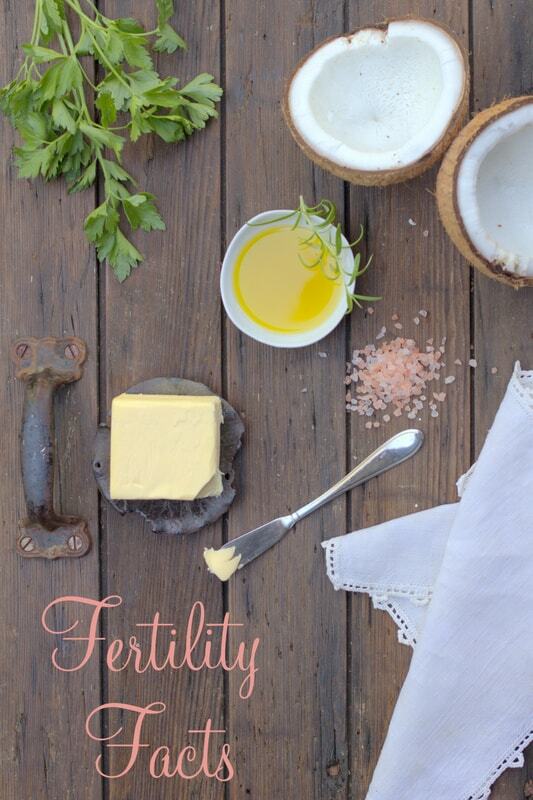 Saturated fats and cholesterol make healthy hormones, including thyroid hormones, which also help with fertility. We cannot have proper hormonal balance and conceive a child without adequate amounts of saturated fats. I often start my clients out with eating a “fat bomb” three times a day. Click HERE to find a recipe. A fat bomb is basically a tasty treat made with coconut oil, cocoa powder and stevia (basically this keto-fudge recipe). But if that is too rich for you, I also suggest stir frying with coconut oil, using it in spreads like my “nut butters” and I always use it in my baked goods. Coconut oil is high in Lauric Acid (LA). LA is found in two sources: coconut and breast milk! It has been proven that breast feeding women who eat coconut products have higher levels of LA in their milk. This is important because it boosts the immune system. Other awesome properties of LA is that it increases the baby’s brain and bone development. Our bodies can store LA so start consuming coconut early on in pregnancy helps with milk production. Cholesterol so important during fertility and pregnancy, it is the foundation of normal cell function and it helps us digest fat-soluble vitamins like A, D, E and K which are essential in formation of healthy fetuses. Full fat dairy is also filled with healthy cholesterol, but I do find some clients to be dairy sensitive and for those clients we need to use other sources of saturated fats such as the coconut oil and quality animal fats, seafood and egg yolks. HEALTH TIP: I do not recommend losing weight while pregnant or breastfeeding. You store toxins in your fat cells. When eat a keto-adapted diet, you lose weight by burning body fat rather than lean mass, like you do with low-fat diets. For example, if you are losing 1 pound of body fat every four days, that is 3500 calories worth of toxins in your blood. Your blood stream becomes very high in toxins because they are getting released from your fat cells. Passing them to your fetus or baby is undesired. Place all ingredients in a blender and purée until very smooth. Enjoy! Good Morning, Good Morning. This is Dr. Rob Kiltz on another awesome and amazing day. How are you doing today? It’s another perfect day in the universe. Cloudy, sunny, rainy, snowy, warm or cold, they’re all perfect. They’re God’s gift called life. Sit still and contemplate the beauty of life today. Troubles are part of the tributary of life. The tributary is where all of the energy in the universe comes to fuel life with all that is new, creative, amazing and different. Be a human being. Joy, love, faith, patience, anger, hatred, good, bad, ugly, beauty – that’s life, all of it. Have faith in His way, God’s way. He knows what he’s doing. On the creative journey of the universe, He’s always moving at life speed, always. Take a breath and hold the smile in His way, simply being in the joy of the light of life. Feel the breath of love within your heart, within your life, within your day, within your creative powers of the universe, as the universe is what each of us believes it to be, for belief is the creative nature of God. A breath and smile begins the day. God Bless to you. Hello and Good Morning. This is Dr. Rob Kiltz on another awesome and amazing day. How are you doing? Doing Eternity Always Through Heaven – I think they call that DEATH. It is the conversion of the body back to its spiritual form and the release of the spirit to the universe to keep on doing what it’s meant to do, and that’s live. This is where we find the beauty and perfection of God’s universe. Within each of us, this beautiful universe has creative energy and emotion. You and I are the emotion of the universe. Through our thoughts and through the Word comes health and wellness. The eternal word is through the mind and not the body. All things are in the word of life. Doing Eternity’s Action Through Heaven. Maybe that’s it? The smile of life is the joy of life. Through faith – faith is the ability to stand on the platform of the universe (the foundation) with the knowing of its perfect way—flows love. Neither good nor bad, not right nor wrong, not light nor dark, but its perfect action in all things. Through love, life flows. Through love, the universe flows – how it’s meant to be and the perfect nature of what it is. A breath and smile, a blessing of life, it’s simple and easy. The breath of life is perfect, you see. Hold that smile this day. What we put into our brain – the thoughts we add every day—it’s food. It’s sustenance. It’s the daily bread. Read, listen, speak, write, and share about this amazing journey this day and every day. We are all simply sharing God’s way this day and every day. Join me this day in Doing Eternity’s Action Through Heaven. That’s the place – that fantasy place, that dream place that becomes the reality through thy mind. This is Dr. Rob sharing some thoughts on death, with love always. God Bless to you. Hello and Good Morning. This is Dr. Rob Kiltz on another awesome and amazing day. How are you doing today? It’s cool, snowy and beautiful. The love of life and God is always flowing within. There’s nothing good or bad about life. It is life. Life is a learning and loving energy. The gift is life itself and nothing else is meant to be. We’re born wherever and however, in the way we are meant to be born. Then we live our lives wherever, however, and “perfect-ever.” This is the journey of God’s love. Our path is God’s path, his choice for us. Rejoice! Rejoice in His path, this and every day. You need not believe in God or a higher power or in the God of Abraham and whatever, whoever god you do or don’t think exists. But in the human mind (your mind and my mind) is the creative nature of God. Sight, sound, taste, smell, touch, feelings, and emotions are all constructed in the mind. This is the joy journey of life. Sadness is only a momentary experience for us to be rattled a little bit in order to see the true joy of it all. The human body is but a moment, whereas God’s love is eternal. God’s life is eternal. The energy of all of us is eternal. In this day and every day, there is the breath and smile of life and love. My mother Maria has lived a very long and fruitful human experience, and yet we know the human experience is eternal in the mind of God. The joy in her life and the creation of which she has been a part, as all is meant to be, each and every day. This is Dr. Rob sharing a few thoughts of today – another awesome and amazing day in the universe that God has created for all of us. My blessings to you this day. It’s Dr. Rob and Dr. Rob’s Mind Body Health. I’m here to share with you some new thoughts and ideas on how to bring health and wellness to your life, be it through the mind, through the consumption of the body and through the motion of the body which creates the vibrancy, health and smile which we develop through the mind, body and smile of life. Now you walk to the cupboards. You open them up and you DON’T grab the box of cereal or the yogurt from the refrigerator. You simply grab that nice, fresh ground coffee (organic and clean!) and then you add that amazing organic grass-fed salted butter to your fresh-brewed coffee and you start the day with that. Then you simply do a little yoga and meditation. You visualize; you write and you begin to direct the dream of your life. We are on the dream journey, you know. It begins with the thoughts – that’s faith. And now it also includes the food. The fitness is built in how you move the body. You don’t have to move it much. You don’t need a bunch of crazy exercise. All you need is some intercise – yoga, meditation, walking, a little stretching, maybe add a little Pilates and light weights. That’s it. Go for a walk. Get off the treadmill of life. Get on the journey path, which is that which brings through the mind and the body health and wellness, and the wealth of life is with you. I’m just starting out a few conversations for the next journey of our life and I’ll be continuing this conversation at Dr. Rob’s Mind Body Health—an offshoot of Mind Body Smile from Dr. Rob. Stay tuned for exactly how to better take care of yourself, your body, your mind and your life. God Bless. Fiber is a fantastic source of health and energy. It cures all ailments. I’m here to share the possibility that this is all wrong. Fiber fuels the fire of inflammation, cancer, irritable bowel syndrome, Crohn’s, diabetes, metabolic syndrome, hypertension and migraines. Fiber is mostly indigestible carbohydrates and a ton of digestible carbohydrates that basically fuel your insulin and your inflammation and make you sick. But there’s a drive there, because the more you feel the fiber fire, the more you want. It’s a little like cocaine and heroin. Most of us don’t consume either, but if you did, you would want more and more and more. Ultimately our mitochondria want fat, and carbs convert to fat because the body is smart and knows how to get you fat. But if you’re trying to learn a better way, get rid of fiber. That’s the fruits, vegetables and all of that crazy stuff that you’ve been advised to consume in excessive amounts. Besides your breakfast, lunch and dinner, you eat all of those snacks in between. You are fueling the fire with fiber and inflammation. This is a pretty interesting and amazing concept that I didn’t even believe. But the more I’ve been following the high fat, low carbs, no sugar, no fruits, fibers or vegetables diet, I am amazed. That doesn’t mean you don’t have them occasionally. No sweets, no snacks and no seconds, only on special occasions. Don’t make every day a special occasion – even though every day IS a special occasion because it’s a special day, it’s the now of life. We are changing it up and doing something we didn’t originally believe in. “Experts” have driven us into excessive obesity, diabetes, heart disease, cancer, breast cancer, and irritable bowel syndrome. Pick up a book today. Right now I’m reading Maria Emmerich’s Keto-Adapted and I’m amazed as a read. Also check out Gary Taubes’ Good Calories, Bad Calories and Andreas Eenfeldt at www.DietDoctor.com. The information is there and it has actually been there for a very long time. We are eating what the food industry and government tell us is good for us, and all it’s doing is driving up our medical needs and care. We are fueling the fire with fiber, and it’s causing the inflammation that causes all of the autoimmune diseases. All of those unknown causes – it’s the food we are eating! It’s the high carbs and the low fat. Add some fat to your diet –some butter to your coffee or whole cream to your tea. Have a thick, fatty beautiful rib-eye with butter all over it. Get rid of the variety of fruit and fiber in your diet. Check it out and see what it’s like. “Do or do not, there is no try” – you know what Yoda says. Hello and Good Morning. It’s Dr. Rob Kiltz –Owner & Director of CNY Fertility Centers in Albany, Syracuse, Rochester, and Buffalo. We see clients from all over the world – we are global – yet we give the local touch. It’s important for all of us. It’s important in caring. Our team is here to serve you and provide you with the best of care and be the best guides on the journey of the fertility path. I use the word “fertility” in a positive light. You must consider yourself fertile, even with the challenging journey of infertility and not conceiving, or conceiving yet miscarrying, or just the hardship of the daily grind of life. But I like to believe that grinding in life – like when you grind those coffee beans and smell the fresh aroma – is just the work of life to help get you to that destination. I like to begin to think about the destination. I then hold the dream exactly as I intend it to be, and I know that is where I feel harmony, joy and perfection. We want to help you on that journey. The “whys” are hard to understand. I say, let go of the “why” and let’s help develop the way and pave the way toward a more comprehensive understanding. Unknown causes are great. We’ll call them “idiopathic” because we are kind of idiots—that’s what I like to say. But truly, there is a lot of scientific evidence today to help support that the immune system is the key. If we can help improve our immune systems and reduce inflammation, we’ll help heal our bodies – of the sperm-producer, the egg-producer and the houser (“the vessel”) of that beautiful baby. This is our drive in life. Stress, food, environment, and life are all factors. We are no longer having our children when women are in their teens and early twenties. We are post-poning it for many reasons. This is a large factor. Our bodies are exposed to all of those factors: the gut inflammation from the food we eat; the toxins in our food or in our environment; the stress of our lives; and how our brains are dysfunctional. But we can actually take a holistic, comprehensive eastern and western approach and improve our lives and our fertile journey by simply looking at the whole picture and not being narrow-minded to one. Our DNA is the driver and the map. In fact, it is all of the puzzle pieces around it. Our DNA is affected by inflammation, and the immune system will harm it. The immune system can actually heal it as well. What we’re here to do is better understand – to listen to all of the options. If you want to know how to improve my natural ways to conceive, you should consider both eastern and western approaches. At the same time, we need to ask if there are some western approaches that are interventional that may help even further. All of these should be options for you. Not one, but all. Or if your situation is I’m thinking about conceiving, but I haven’t been trying. You don’t need to “try” by the way, nature knows what to do, but we need to allow our bodies to heal in a way that gives us the healthiest pregnancy and the best odds for enjoying it. We’ve brought on many experts – eastern and western practitioners – to help guide us and improve our lives. What is the best food plan? What is the best motion/exercise plan? What is the best supplement/vitamin/nutritional plan? What is the best mind plan that’s going to help our bodies move, relax and enjoy in the best way? What are the interventions required, or at least the options that will help improve my odds for that perfect, beautiful pregnancy? We have those answers. At CNY Fertility, we provide that local service to the globe. Travel is so easy today. Communication, as you hear right now, is instantaneous. We are here to build your journey. Build the path to your success, recognizing that we can stand back in the moment and know that we have it now. The secret is faith and belief in the Great Creator within our minds and everywhere in the universe. We have it. This is Dr. Rob Kiltz with CNY Fertility Centers. I’m here to help. Please feel free to email me at RKiltz@cnyfertility.com. Text me at 315-416-9872 or check Skype for Dr. Rob Kiltz. Our team is here and eager to help with whatever the questions and whatever the journey. Our healing centers at CNY Healing Arts are also here whether you’re attempting pregnancy or simply moving to improve your life. God Bless. Enjoy this beautiful day! The next idea is the Institute for Healthy Aging – not anti-aging, not for sustained health, but for Healthy Aging. We are all going to age and we are all going to die. In the process, why don’t we learn how to better utilize our environment, our minds, our bodies, and find joy and happiness in many of the challenges that God and the universe has created for each of us? Disease will come – cancers, inflammatory conditions, strokes, heart disease, etc. But, we have some new methods and ideas that maybe we need to learn and tap into that are a complete 180-degree change from what we’ve been taught. Maybe we don’t need as much exercise? Maybe we don’t need to be eating all those fruits, vegetables and fibers? Maybe we need to be eating more of the fat we’ve been told not to eat? Maybe we need begin to not wrestle with work/life balance, but focus on finding that joy in whatever we are doing – work, home, family, whatever the challenge is– find joy within that! That’s the idea for the Institute for Healthy Aging. We want to begin to bring us together, all of us, with new ideas. There’s so much out there that’s been around for thousands of year, but we are pushed around by marketing gurus about this and that and money. Money is the energy of the universe. I’m not against that. I’m interested in how to bring new and valuable ideas to all of us to help find a journey, a path. Whether it’s marred with failures, bumps, ripples, twists and turns (that’s how the painting and art of life comes–through challenges, problems, and learning)– it’s all good. There are many ideas out there. What you’re feeling, thinking and experiencing is not unhealthy or harmful. It’s part of the journey of life. Institute for Healthy Aging. NOT anti-aging, because anti-aging is taking a gun to your head now. We are all for the aging process, and recognize that it might end tomorrow, 5 years or 50 years. Whatever your time might be, enjoy all of it! This is Dr. Rob just throwing out some ideas for creating something new, vibrant, holistic and hospitable. Not a hospital, but a resort /destination spot to bring people together to share new and vibrant ideas. God Bless! A message from Cabo on a beautiful day. It’s Dr. Rob. How are you doing? We are meant to get fat. The simple concept in life is that fat is energy. The storage of fat is survival. Losing weight, as you know, is very difficult, because we are not meant to lose weight. We are meant to use the energy that we store. We are meant to store, so we have it. We are driven to eat the things that we sometimes think are good (or not good). High carbohydrate foods and fibrous things are meant to be eaten because they feel good and taste good. Our body wants us to eat them in order to store the fat, to have the energy, to thrive and survive as it needed to when food was less abundant. In fact, we are meant to get fat. We are not meant to be thin and svelte. We are not meant to live a long time – simply long enough to reproduce and protect our young so they can reproduce. That’s it. In a modern world where we begin to believe and bring our thoughts and ideas into health and wellness, we’ve been mass marketed incorrect information: that fruits, vegetables and fibers are good for us; and fat is bad for us. In fact, quite the opposite is true. Animal fat is the best thing you can consume. If you are working to stay slim and healthy, then you want to get rid of all of that junk (fruits, vegetable, fibers) that we are told are healthy and good. This is the hard part, though. We are always trying to mix the right amount of fat, protein, and carbs. Truth is, there’s no right amount of carbs. Carbs are completely unnecessary, and fiber is a damaging component to our gut. It’s the flame producing stuff. It ferments. It gets hot. It gets perfect for bacteria and fungi to grow. Irritable bowel, Crohn’s Disease, cancer, you name it –every disease of our bodies is caused by inflammation and the primary source is the gut. It’s really very simple, as Occam’s razor says: the simplest answer is usually the right one. Our body doesn’t really care about living a long time. But now we are learning some ideas about how we can take our bodies, our minds, our lives and the lives of others to a new level. Health and wellness is built on eating fat. That’s where it’s at: animal fat. Don’t trust me. Check it out for yourself. Check out Garry Taubes’ Good Calories, Bad Calories. From there, there’s a multitude of people with ideas, but remember most of us are selling something (buy this supplement or that supplement or this right diet or that right diet). It’s even simpler than you or I understand. It doesn’t require a science degree or MD-degree or math degree. All it requires is doing something different than what you’ve been doing or been taught, and you’ll be amazed at the changes and shifts that happen in your life. This is Dr. Rob sharing some thoughts and ideas. God Bless and enjoy! Maybe we need to change the idea that overeating and becoming obese is a disease? In fact, it is not. It’s a natural process for the body to want to eat, to want to take in the calories, and to preserve the future because your body and brain know nothing about tomorrow other than to expect a scarcity of food. Obesity is not a disease. The disease is the metabolic syndromes that occur because of our overeating the wrong stuff, not that we are obese. Obesity in and of itself does concur with some other abnormalities, but in fact obesity is a natural human desire to thrive and survive when in previous times food was not abundant. You’re damn right, you better eat that whole fruit tree and store as much fat as you can to get ready for winter, or the trek across the Sierra or the Sahara! In order to get to the promised land of food, you must be able to store fat. We are really good at that. Overeating is not a disease, but a natural process of the body and brain. The feel good stuff is EAT MORE. GORGE MORE. GO FOR THE BREAD. GO FOR THE PASTA. GO FOR THE FRUIT. GO FOR IT! Even go for the fiber, because ultimately your body is trying to squeeze out every bit of carbohydrate from the fiber. Your body does not need fiber, per se. It needs calories. Calories come from carbs, and that’s where fat is stored. In the abundance of the herds and fish, and the abundance of fat, your appetite is suppressed. You do not need to constantly eat, eat, and eat. But, your body will stimulate you to go find food pretty quickly even when you are carrying lots of fat on board already. It wants to maintain or grow those stores – like filling the cellar before the winter. You need to have plenty stored up in order to survive and thrive. It’s not about living a long time. It’s about living just long enough to get to the next meal in order to survive and pass on those genes because they are really powerful. Remember the drive is for food and procreation –those two F’s. And, for fondling and foraging and taking care of your cohort. Important! We want to thrive on top. To survive is to consume and to have. That’s what this is all about. Our selfish genes want us to get fat. Fat is not a disease, it’s a survival mechanism. The over abundance of high caloric and high carbohydrate foods is our problem. We simply need to shift to eating more fatty meats, fish, and fatty poultry and let go of eating fruits and vegetables, fiber, grains, cereal, rice, pasta and bread. But those do taste good and it is mighty hard to let go of that. Exercise . . . that’s a whole other topic. We are doing it for the same reason: procreation. Pick me. Look good. Feel good and let’s pass our genes along. Dr. Rob just sharing some ideas. Check out Mind Body Smile and enjoy the day. God Bless!